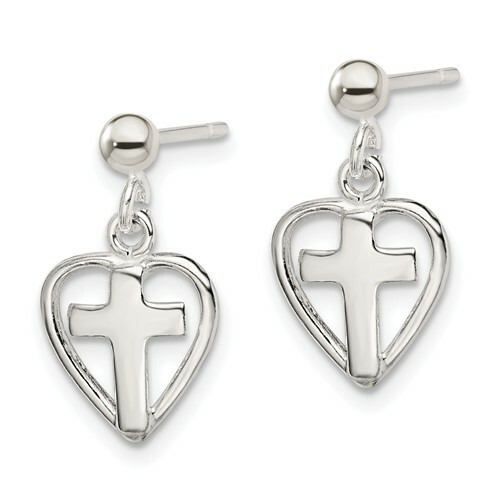 Cross in heart dangle earrings are made of sterling silver. Earring size: 3/8in x 1/2in. Posts. Weight: 1.1 grams. Made in India. Textured back. My granddaughter attends a Catholic elementary school. These earrings are perfect for her to wear to school, and anywhere, for that matter. They look beautiful on her and she has gotten many compliments from both teachers and peers. She says they are her favorite earrings.